The high revenue and relatively low development costs of the "Infinity Blade" series on iOS have made the titles the most profitable ever for publisher Epic Games, exceeding even its blockbuster Xbox 360 series "Gears of War." Tim Sweeney, chief executive of Epic Games, revealed at the Game Developers Conference in Taipei this week that "Infinity Blade" is the most profitable game the company has ever made in terms of man years invested versus revenue, according to Gamasutra. That puts it ahead of "Gears of War," a bestselling series from Epic found on Microsoft's Xbox 360 console. Sweeney also said that devices like the iPad 3 are almost as powerful in terms of graphics capabilities as the Xbox 360 and Sony's PlayStation 3. He predicted that DirectX technology, currently found on PCs, will become "widely available" on mobile devices in the next few years, allowing for even more impressive mobile games. Because of this, Sweeney believes the greatest growth in the gaming industry will be with free-to-play titles. With those games, users can download and play the game for free, but additional content and features can be unlocked by users who wish to pay for those capabilities. In addition to making titles like "Gears" and "Blade," Epic also sells the "Unreal" game engine that powers those titles. By licensing the Unreal Engine, other developers can save time and money on development by utilizing Epic's software framework. Epic has regularly appeared at Apple's events when the company introduces new mobile iOS hardware. 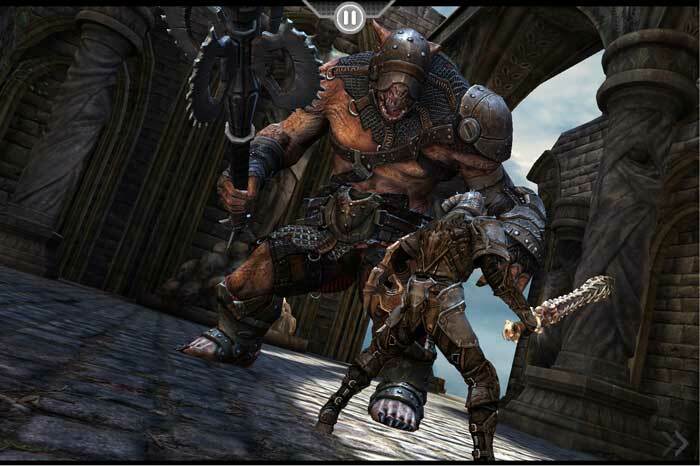 At this year's unveiling of the third-generation iPad, Epic was on hand to unveil "Infinity Blade: Dungeons," a forthcoming sequel that will take advantage of the A5X processor in the new iPad to feature HDR graphics and tone mapping.